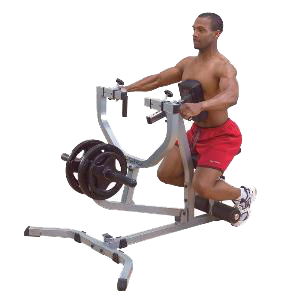 Our uniquely designed Seated Row Machine is fully adjustable to fit all size users. The extra-thick DuraFirm”! seat and chest pads position you for maximum pre-stretch which is crucial for deep muscle penetration an full range-of-motion. Four-way handgrips widen or narrow to target resistance to the middle back resulting in accelerated muscle gains.